Most large buildings have extensive heating, ventilation, and air-conditioning systems that keep interiors comfortable. Industrial plants also have facilities for electrical power or steam to operate equipment. Stationary engineers and boiler operators control the stationary engines, boilers, and other mechanical equipment that provides utilities both for buildings and for industry. Workers typically monitor water levels, read gauges and meters, and ensure furnaces and boilers have fuel. They also monitor safety devices and keep maintenance logs. Engineers and operators are often exposed to heat, dirt, grease, and smoke. They spend much of their time on their feet, and may spend hours kneeling or crouching to crawl inside boilers and clean or repair equipment. With a high level of injury risk, engineers and boiler operators must follow procedures to guard against burns, electric shock, noise, and exposure to hazardous materials. Most stationary engineers and boiler operators work regular full time business hours. However, in 24/7 facilities such as hospitals, engineers and operators may work 8-hour shifts or 12-hour shifts on a rotating basis, and work weekends and holidays. 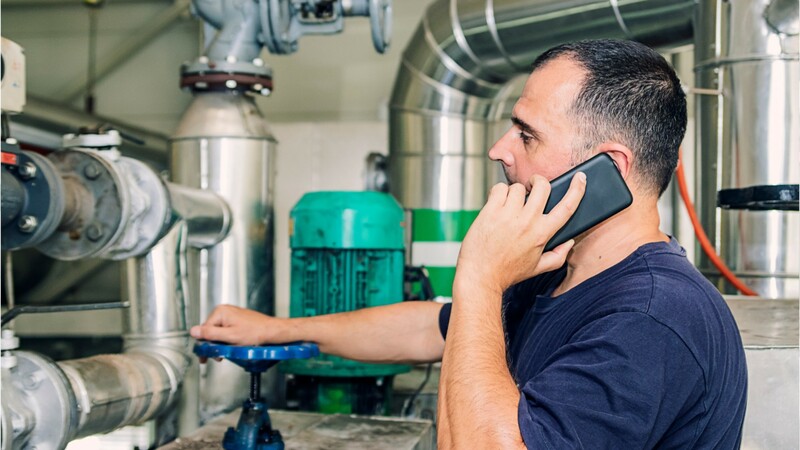 Stationary engineers and boiler operators typically need a high school diploma or equivalent and are trained either on the job or through an apprenticeship program. Many employers require licensure or passing a company-specific exam before an operator is allowed to work unsupervised. See more details at O*NET OnLine about stationary engineers and boiler operators. Stationary Engineers & Boiler Operators by U.S. Department of Labor, Employment and Training Administration is licensed under a Creative Commons Attribution 4.0 International License.